This PT-D5600U Panasonic twin-pack projector lamp comes with genuine original 300 watt Ushio bulbs inside rated at 4,500 lumens (brightness equal to the original Panasonic lamp). The PT-D5600U Twin-Pack has higher lumen output and longer lamp life than other cheaper generic replacement lamps being sold elsewhere. It also has a Lamp Run-Time Module that is calibrated and tested during Pureland Supply's quality control process. Our lamps are guaranteed to operate the same as the original and will count your run time correctly to ensure proper function of your projector. 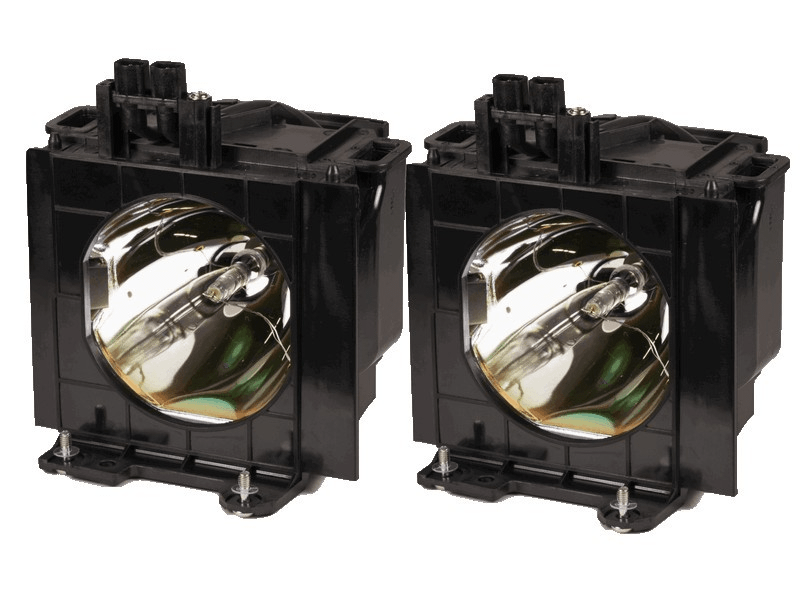 PT-D5600U Panasonic Twin-Pack Projector Lamp Replacement, contains two lamps. Projector Lamp Assembly with High Quality Genuine Original Ushio Bulb Inside. We had to replacement 4 Twin-Packs for our Panasonic units and didn't want to take any chances. After researching and going through many reviews we decided on Pureland Supply and are very pleased with our choice. The lamps appear to be built better than some others we tried and they also seem to be brighter. Installation was easy and we didn't have any problems. This company is great and we would highly recommend them to anyone in need of a lamp. This twin pack operates perfectly and is brighter than the last generic one we tried. Worth paying a little extra for this Panasonic lamp.